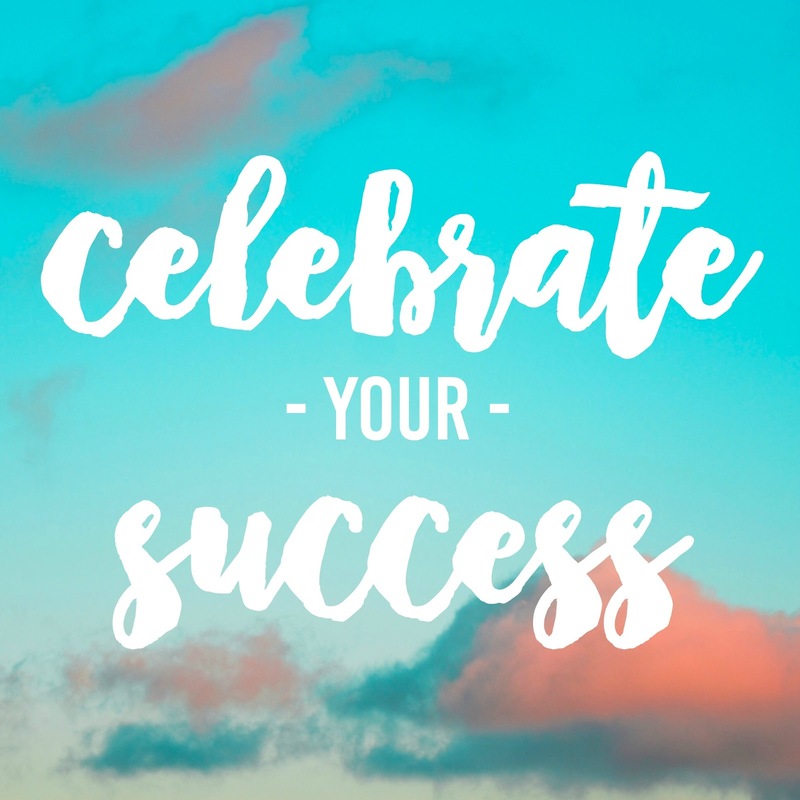 Celebrate Your Success. | The girl who loved to write about life. I've mentioned my group text before, and how it is the stuff bff dreams are made of. Daily memes, outfit pictures, medical questions we're too afraid to google for ourselves. But one theme that runs so deep is that we celebrate each other, big things and small things. Yesterday, one of my friends (she's in the coastguard) won a pretty big award. She shared it in the group text and we went into celebration mode. You are amazing! So proud of you! Where is the ceremony? Oh, we're buying tickets! It was fun and exciting and full of building a friend up and celebrating her for an achievement. And today, it's made me think: Why don't we do that for ourselves? I don't say this to brag, I say this because #reallife, and I'm betting it's your real life too: I do a lot. Like, a lot a lot. On a normal day, by the time I go to bed every night, I have: raised an actual human, worked a full time job, tried to put my house in some kind of order, cooked dinner, and a bunch of little other things, like wrote blogs or mailed out poshmark packages or tried to write a few pages or worked out. And do you know what my thought is when my head hits the pillow, nine out of ten times? I think of all the things I didn't do. We are strong and amazing and capable of so freaking much. We DO so freaking much. But instead of celebrating ourselves, we think of all the ways we've failed, all the ways we could have been better, all the things we didn't get done. Can you imagine, if my friend had texted her excited news to the group, and we had responded, "oh, that's nice. How much longer until you win ____ award?" Or, "good job, but I noticed how messy your house was. Get it together." Or, "it doesn't really seem like that big of a deal to me, get over it." WHAT?! We would never! ...But don't we do that to ourselves? Celebrate your successes, please. The big ones, duh. But also the small ones. Celebrating the small successes can honestly be the best motivation you need to keep going, to one day get to the big successes. If you're writing a book, don't wait until the whole dang thing has been written to celebrate your hard work. Celebrate every chapter you finish! If you're working on a huge project, don't beat yourself up for every day you've yet to finish it, celebrate how much work you got done that day. If your kid still isn't sleeping through the night and you think you might be losing your mind, don't wait until you're both well-rested and in great moods to congratulate yourself on being a good parent, celebrate the fact they said please and thank you, or shared without being asked. The Last 90 Days Challenge. My Favorite Things I Discovered in September. It's All Messy. It's All Perfect. You Know I Love A Good Live Blog.